I kept hearing about the Silver Bullet Vape. Finally, it looked to me like everyone I was talking to had something good to say about the this mod. So I decided to take some time to find out what the all the fuss was about. This is why I ended up doing this Silver Bullet Mechanical Mod Review. I wanted to find out if it was the real magic bullet of the Vaping community. I can say that after trying it, I am quite impressed with its features. However, whether I can call it legendary, as others are already doing, I am not sure yet. I need to interact with it more. I love the fact that it is a product of the United States of America. If you have been reading any of my reviews on a few other products, you would know that I think products from the USA enjoy a certain standard. I only give a rating of above 3.5 to products that I either think are already great or ones that I perceive to have a good chance of becoming great with improvements. When I look at the features of this mode and the price at which it comes, I think it’s a steal. The one thing that gives me a piece of mind when using this product is that it has been in the industry since the beginning. It works quite well with standard non sub ohm tanks. When I did this Silver Bullet Mod review I took some time to look carefully at the product with the aim of identifying what to like and what not to. This is what I came up with. Great Build And Choice. If you are one who does not want to be restricted, this is the product for you. It is not only well built, it comes in a total of thirteen available color options. Accordingly, you get what you want. Made In The USA. This mod enjoys the world renowned craftsmanship of products made in the USA. For this reason, you can expect quality, strength, and comfort from this mod. Made By Experienced Manufacturer. Above all the other features, the guys who make this product are among the pioneers of this industry. I like this because it means that they have had a longer time to understand the needs of the market. They have been making adjustments over the years by reviewing complaints received from users. I am serious if I say that I have been searching for something bad to say about the Silver Bullet Vape and I have come up with nothing. As a matter of fact, I have really been trying to nitpick but I have had no luck at all. The Silver Bullet delivers an experience that has taken years to craft. This is one of the manufacturers behind some of the first products in the market. Arguably you get nothing but a powerful mod. The mechanical series just takes the whole experience to another level. Expect no wires inside your brand new mod. All the contacts are silver plated. At any rate, the guy talks too much. Even so, you do get some information in between the ramblings. 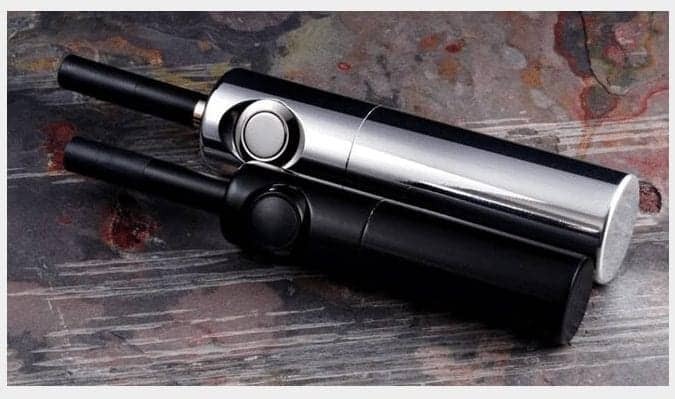 Finally, in my conclusion of this Silver Bullet Mechanical Mod Review, I will tell you that I am happy that AltSmoke decided to come up with a mechanical version of this mode. As I said earlier on, I spent a great deal of time attempting to find something not so charming about this mode, however, I totally failed. No doubt, this says a lot about this product. One of the reasons why I recommend this mod is that I have come to trust AltSmoke over the years. They have been doing this kind of thing for a number of years. They have had enough time to listen to the complaints of customers to improve the product. It’s like there is a bit of each one of us in this item.